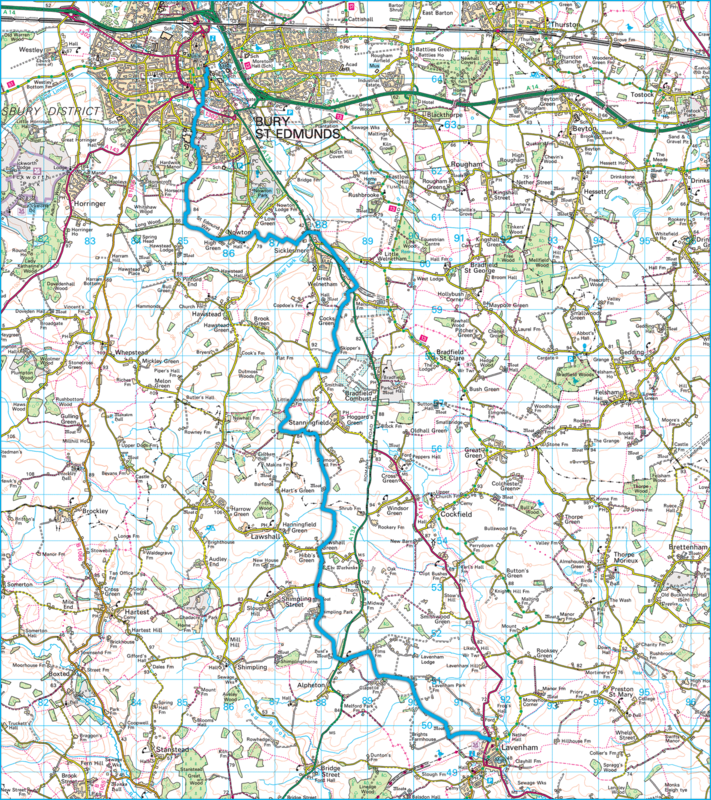 Day four (which again I had to split into two days due to work) involves a 17 Mile route along beautiful open countryside to arrive at the beautiful town of Bury St Edmunds. More signs of the railway that once ran through the village. Vast open countryside as I look back to Lavenham. What appears to be an old rail line I think is actually a medieval trackway that once lead to a Hunting Lodge which is in the woods behind me. Lots of sheep in the fields. Although hard to see, there are earthworks and a moat here. Part of the old railway again that once connected Lavenham to Bury St Edmunds. A little height was gained with the top of Bury Cathedral visible. Ruchbrooke Arms - perfectly located for some food along the trail! Nowton Church in the sun. A trig point at 84m above sea level just before the gentle descent into Bury St Edmunds. Norman Tower in Bury st Edmunds. The spectacular gatehouse into Abbey Gardens.